Installers need a Test Monitor. Are you a professional security camera system installer? We have the tool to make that job more manageable, the IP System Tester, is a 7inch IPS touch screen with a 1280*800 resolution. Take a look at all the formats you can use with this tester: IP, Analog, HD-TVI, HD-CVI, AHD, HD-SDI/EX-SDI, along with HDMI input and HDMI output. H.264 and H.265, 4K video display via mainstream. Rapid video, just by one key to detecting all network camera and auto display. Built-in WiFi to receive network image and data, create a wifi hotspot, support browser. Rapid onvif, auto login and display image from the camera, activate Hikvision camera and also can create a testing report. CVBS loop test, the tester send and receive color bar generator signal to check BNC cable. Traffic monitoring of the tester “Lan Port,” display network port or wifi connection real-time upload and download speeds and other network parameters. Support user self install apps, for example, install android apps, like Skype, Wechat, etc. With all these features and so much more you have to ask yourself why you have not invested in one of this before. The Test Monitor makes installing a security camera system so much faster and efficient. 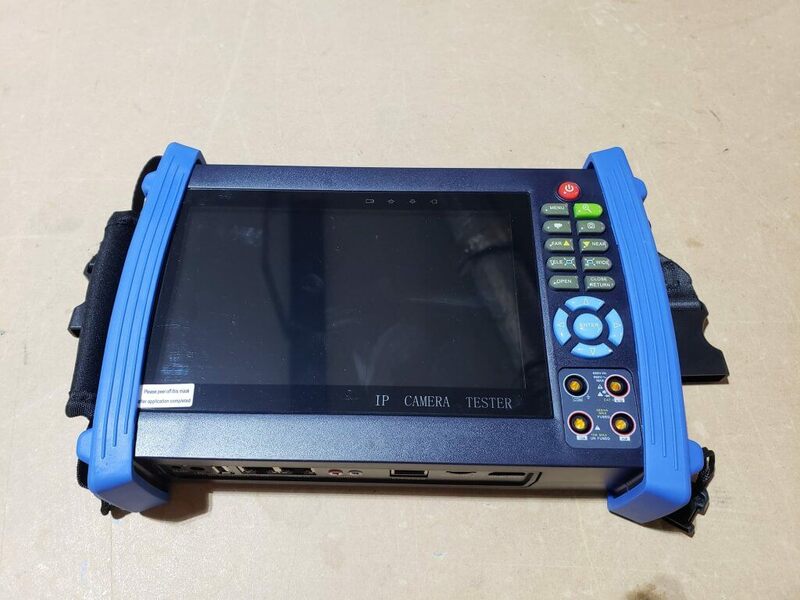 To place your order for this Test Monitor or to ask questions please contact one of our Sales Engineers here at EnviroCams toll-free 866-264-0041 or stop by our website. This entry was posted in Blog and tagged Test Monitor.